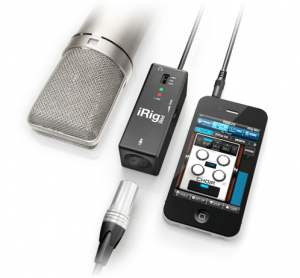 Theultra-silent circuitry of iRig PRE ensures complete preamp transparency, so the only coloration heard is the pure sound of the microphone. Plus, iRig PRE is compatible with all IK Multimedia effects processing apps like AmpliTube, AmpliTube Fender, AmpliTube SLASH, iRig Recorder, and VocaLive as well as multitude of other apps that record and process audio – like Apple’s GarageBand – where accuracy in reproduction quality is paramount. I will admit iPhones do have a lot of cool accessories, still wont by an iPhone.